HOME from Dreamworks Animation and Fox Home Entertainment is hitting Digital HD this Friday, June 26! To celebrate, we are having a Twitter party with director Tim Johnson! Home is where the digital downloads are. 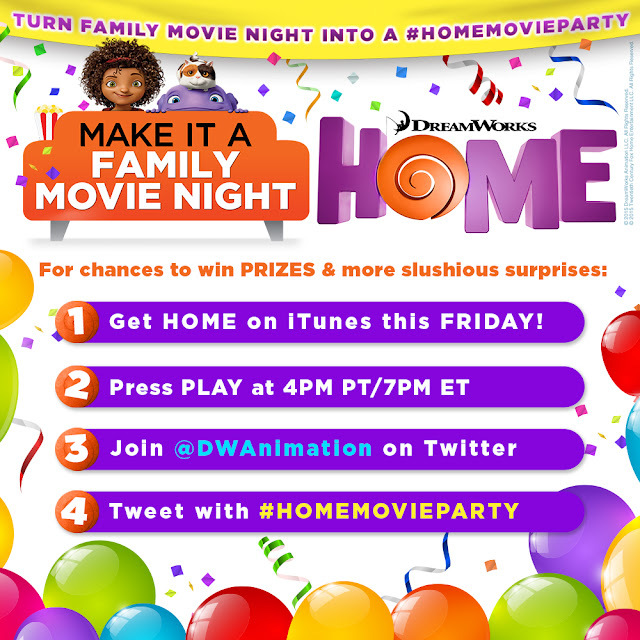 Whether you're home or away on summer vacation adventures, you can bring Home with you... DreamWorks' Home that is. Come ChiIL out with ChiIL Mama tonight and tweet along with the hashtag #HomeMovieParty. Disclosure: ChiIL Mama is elated to partner up with DreamWorks and Think Jam once again. We have been compensated for sharing this info with our readers. As always, all opinions are our own. 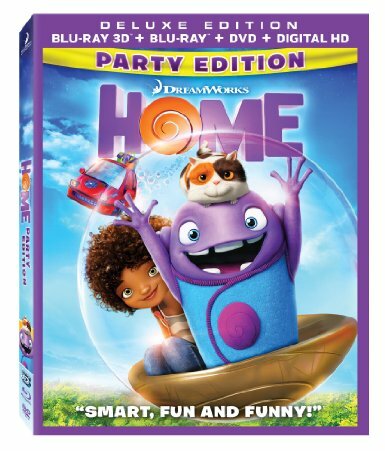 DreamWorks is preparing 'Home' for Blu-ray and Blu-ray 3D on July 28. Supplements will include: Best Party Ever! ; Oh's Shake Your Boov Thing; "Feel the Light" by Jennifer Lopez – Music Video; "Feel the Light" by Jennifer Lopez – Lyric Video; Oh's Boovy Jukebox; Oh's Party Planning Tips; This is Being Boov; Almost Home; Testing Lab; Party Play All; Deleted Scenes; Be an Artist! ; and Stars of Home. Suggested list price for the Blu-ray/Blu-ray 3D/DVD/Digital HD combo pack is $48.99. Suggested list price for the Blu-ray/DVD/Digital HD combo pack is $36.99.